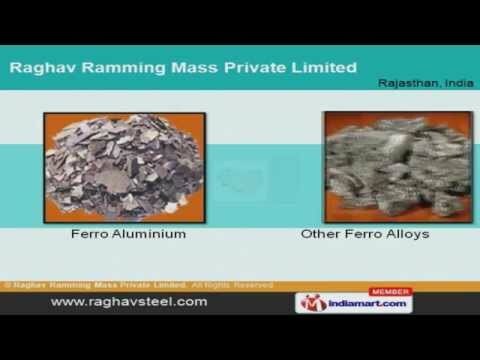 Welcome to Raghav Ramming Mass Private Limited, Manufacturers and Exporters of Ramming Mass and Ferro Alloys. Established in the year 1977, we are an ISO 9001:2000, 14001 and 18001 certified company. We are a registered member of CAPEXIL and an authorized dealer of PigIron sale of Kirlosker. Timely delivery, Customized solutions and safe packaging help us to achieve an enviable position in the industry. We offer a wide assortment of Pig Iron, Ferro Alloys and Ramming Mass. Ferro Alloys offered by us are well known for their excellent properties and rigid specifications. Ferro Aluminium and Other Ferro Alloys are in huge demand across the global markets. Our clients can avail from us an exquisite range of Pig Iron. Unveil a comprehensive range of Ramming Mass that are extremely reliable. Silica Ramming Mixes and Grades of Ramming Mass that are nothing but the best solution for all your needs.